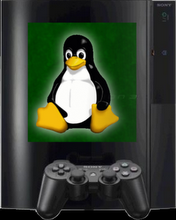 Where Linux geeks and lovers come to learn, play, and experience life with the Play Station 3! Key topics include installing your favorite OSS, running MythTV, and fun PS3 Linux tricks. A very interesting link .. a set-by-step guide to setting up a cluster of PS3 as a supercomputer. Found this link that is very intriguing. Its suggests that a newer "low power" version of the cell processor is coming out. And the next best industry to make use of it .. will be in medicine. I think Folding@home proved the power of the PS3 in medical research ... but this blogger's suggestion that live medical devices like 3d CAT-scans, live interactive medical imaging .. will be the next big hit. I thinks that's a great idea! When you think about it .. live 3D interaction is not too different than a hi-resolution FPS (first person shooter). Ignoring, of course, the data stream requirements. Which in this case is what would limit the use of a standard PS3 (digital CAT scans can already generate 6 Gigabytes / sec data streams ... ignoring the whole packet buffering issue .. that out-classes the PS3's 1000Base-T LAN connection). Now think of the same CAT scanner connected to a custom box with two or three cell processors .. with a 10G network link. Haven't run the numbers .. but I'm pretty sure there's enough horse power there for a custom app to display and modify (read filter) what is being displayed. Imagine now a dynamic disease filter that identifies and highlights on the 3D image ... in real time. Its a brave new world in interactive medicine! http://www.tgdaily.com/content/view/34085/118/ IBM Opens first cell research center on college campus. http://news.soft32.com/mayo-clinic-and-ibm-to-improve-medical-research_5824.html Mayo Clinic and IBM to Improve Medical Research. Toshiba puts a Cell chip in a laptop? CNet is reporting on a "Toshiba Spurs Engine". Apparently they put an IBM Cell processor into a Toshiba Laptop. Looks like a project called spu-medialib has a collection of media library code optimized for the Cell processor. This should allow MythTV to make full use of the Cell SPU units (the power behind the PS3). It appears someone has classic MythTV running on the PS3. It will be interesting to see if they get reliable HD decoding with out using the cell processors. Or, perhaps they found a port of the libmpeg for the cell. Yet another awesome use of PS3 cells. Terra Soft has built a stereo vision system based on the PS3. Slashdot is reporting it was used in Axion Racing's entry to the DARPA Urban Challenge.